A young man, trained since birth in the arts of war; a princess whose powers are awakening; a regent who would be king, a queen who would be an empress; a dark priesthood of mages; and the mind of a god, are revealed in the Book of One. In this Epic Fantasy series by Jordan Baker, a tale of magic unfolds for Aaron, a mysterious young man who is plagued by headaches that are somehow linked to magic. Raised in the wilderness and taught to be an expert swordsman, Aaron finds his life irreversibly changed by events that send him on a journey to discover his true destiny. I loved reading fantasy and read every book I could find until I ran out of books and series to read. I had an idea for a story that had all the elements of my favorite fantasy books but was focused on a different sort of struggle, the question of power itself being a central theme. While I thought about the story concept and some ideas that went along with it, some characters appeared in my thoughts, so I started writing my own story. The earliest version was written on a spiral notebook when I was eleven or twelve and I rewrote it again when I was finishing high school and transferred it to a computer. As I was actively discouraged to a degree from pursuing creative things at the time, and busy with campus life and the work life that followed, the story sat in a writing folder for years, always at the back of my mind, until chance prompted me to continue the story. I very clearly remember having the idea that the story should start with the classic trope of the young man from humble beginnings who discovers that he is a prince or a wizard — a start to fantasy stories that has been used countless times, and that isn’t necessarily a bad thing, by the way — but instead of having the entire story be like the usual magical superhero coming of age as they learn about their amazing powers sort of tale, the idea was to give that character weaknesses and difficulties so they will need help from friends, who are also important to thee story. They will also be put in danger, maybe even by the choices of the main hero, but they must also step up and realize their own strengths and conquer their weaknesses to win the war. There may be heroes in battle, but it takes more than one person to win a war. It takes many people, pulling together and trusting each other in difficult and often disparate situations to find victory, and it was from that starting point and the creation of the different lands and peoples in the world of the ‘Book of One’ that the other characters began to emerge. This book is a work of fiction. Names, characters, places, incidents and events contained herein are the product of the author’s imagination or are used fictitiously. Other than historical characters, any resemblance to actual events, locales or persons, living or dead, is coincidental. Copyright 2013 by Electrum Press and the Author. All Rights Reserved. Except as permitted under the U.S. Copyright Act of 1976, no part of this publication may be reproduced, distributed, transmitted in any form or by any means, or stored in a database or retrieval system, without express permission of the publisher. The publisher is not responsible for websites (or their contents) that are not owned by the publisher. This book is licensed for your personal enjoyment only and may not be re-sold or given away to other people. If you would like to share this book with another person, please purchase an additional copy for each recipient. If you’re reading this book and did not purchase it, or it was not purchased for your use only, then please purchase your own copy. A gust of cold wind blew through the clearing, rustling the few dry leaves still clutched in the ice-laden fingertips of the surrounding trees. Their heavy wooden limbs moaned gently in the night, their faint protest the only sound under the heavy blanket of winter snow. At the far end of the clearing, a simple log and stone cottage was the centrepiece of a humble steading nestled deep in the forest. Nearby, a small barn sheltered livestock against the cold winter wind and, next to it, the wooden fence of a corral lay nearly buried under drifts of snow. Just as quickly as it had arisen, the wind again fell silent, leaving only a cold stillness in its place. The only sign of life was the thin trail of smoke curling its way upward from the stone chimney of a small cottage. In a small bedroom on the second floor, a young man struggled with unpleasant dreams. He dreamed of a place far away, a place where the stars shone brightly overhead, almost blinding against the dark sky, which seemed closer somehow than it should be. He tried to move but he was on his back, chained to a stone block. There were people nearby but he could not see them. He tried to call out but he could not speak. At the edge of his vision, torches burned with an unfamiliar, silver fire that gave no warmth. A man in flowing black robes appeared looming over him and blotting out the sky. Beneath the dark cowl of his robes the man smiled with a cruel sneer to his lip, his teeth shining white against his coarse black beard while his eyes smoldered with feverish ecstasy. He leaned in close, and his voice rasped callous and hard as he spoke. In his hand, the man raised a knife that shimmered with the same silver light as the nearby fires. He held the blade aloft then plunged it into the chest of his captive, his sacrifice. Upon the altar, the young man felt a sharpness followed by an icy coldness as the blade drained everything that he was. The man in the black cloak smiled at him as he twisted the blade deeper and then he began to laugh. All was fading, becoming dark and the young man felt only despair. It was as though he did not exist, that all that he had ever been was no longer, or perhaps never was. The knife twisted again and he felt his essence being drained as blood spilled across his chest and onto the altar. His life drained away and within moments he felt his body die as his vision faded and the world became black. Yet, somewhere deep within the void, in the center of his being, the core of all that he was, a tiny flame still burned. Aaron sat up in his bed, gasping for breath. His forehead was slick with sweat, hot and feverish against the cold night air. The pounding in his head was deafening. He focused on breathing, using a technique his uncle had taught him that helped control pain. He took slow, deep breaths, focusing on a feeling of calm and letting go of the tension and, before long, the stabbing pain in his skull subsided to a dull throb. He looked around the darkened room. From the light of the fading moon shining in through the bedroom window, he could tell it was still some time before morning. Aaron took a deep breath and felt his body relax a little more and his nerves became calm. He was safe and alone in his room. No dark stranger, no gleaming blade in his chest. It had been nothing more than a nightmare. As much as he knew it had been a dream, the vision left Aaron feeling unsettled. It was not the first time he felt that cold silvery knife plunge into his flesh. He had been visited by the same dream every night for weeks now and Aaron wondered what it could mean. He ran through the already fading images, trying to commit every detail to memory and he realized something. It was different this time. The man had laughed. He had never done that before. Aaron wondered whether there was any significance to it but the more he thought about it, the worse his headache became. He finally gave up and rested the side of his head against the cool wood of the bed frame, looking out the nearby window at the moonlit winter night. Aaron gazed across the yard of the cottage where he and his uncle lived. It had snowed heavily again that night and he could see that the path to the barn was covered by white drifts as high as his waist. That would mean more shovelling come morning, his least favorite chore. Aaron decided to try to rest a little more before daybreak, promising that if his headache would just go away, he would shovel the entire path without any complaint. He pulled the covers over his head and focused on breathing, wishing for the oblivion that sleep would bring. Far away, in a room in the royal palace, high above the dark quiet streets of the Crown City of Maramyr, Ariana awoke with a start. She had been dreaming of something unpleasant, but she could not remember what it was. Somehow she remembered feeling cold in her dream and, despite the warm fire crackling in the hearth, she felt a chill shiver run though her body. She glanced about her room suspiciously, worried that some sort of fell mystery or unseemly magic might be at work, but she could sense nothing. A loose shutter clattered in the night, swinging on a window somewhere in the city below and Ariana started at the sound of it reverberating loudly in her ears. It was so loud it was as though it was right next to her, but somehow she was aware that the sound came from far away. As she moved in her silken sheets, she also realized she could hear every individual thread of fabric rub against the other. Ariana bolted upright in her bed. The small sound of her skin on silk should not be so loud in her ears, so distinct. She listened again, astonished at its intensity as she moved even the slightest bit. Even her hair rustled like dry wheat blowing in a field as it brushed past her cheek. Every creak of her bed, every scuff in the castle was somehow intensified. In a room, several floors away, she could hear a scullery maid moaning passionately with a guardsman, his identity apparent from the clanking of his armor and the shifting links of this chainmail shirt. It was as though her hearing had become much more sensitive, but instead it felt more like the world had been muffled before and now she was truly hearing properly for the first time. She looked around the room again. From the corner of her eye she thought she saw something move in the shadows. Suddenly flames sparked to life around her room. Every candle, every lamp lit in an instant, burning almost too brightly. She was shocked by the intensity of it and did her best to calm herself. The light chased away whatever shadows had been there. Ariana looked around the room. No one was there. She was alone. She breathed deeply, relaxing her body and the flames dropped back down to a more natural size, burning normally now, without her tension, without her influence, without her power. Calthas had warned her it might happen like this, at a moment when she felt threatened, that something dire might trigger her power. The mage had assured her it was already there, waiting for her to reach for it. And now it had happened, over a little more than a dream, and one she could not even remember at that. Ariana tried to recall what the mage had taught her. She had felt so foolish at the time, as though the exercises he had made her repeat so many times were ridiculous, but now she clearly understood their meaning. Taking a deep breath, she looked around the room, deliberately marking every object and particularly every flame, and then she slowly closed her eyes. She could feel each individual flame flickering in the air of the room, their heat small but searing the air around them. She focused her mind on each tiny piece of fire and then, with a thought, she took away that which made them burn, snuffing them one by one. She opened her eyes again to darkness and the scent of smoke and wax from the extinguished candles. At least she had not burned down her bedroom. She shuddered at the thought of such a fearful thing. It would not have been the first time the palace had caught fire from unbridled magic. Clearing her mind, and just to be sure this was not a dream, Ariana swung her legs over the edge of the bed, leaving the warm embrace of her thick blankets. She held her bare feet just over the marble floor and then gently touched her toes to the cool hardness of the smooth polished stone. She reached over to the table beside her bed and touched the top of her reading candle that moments ago had burned so brightly. With a yelp, she put her finger in her mouth, tasting the melted wax that quickly hardened against her skin. Her burnt fingertips told her it had not been a dream, at least not all of it. Droplets of blood fell from the curved dagger into the swirling water of the silver chalice upon the altar. The dark streaks quickly dissolved into the clear liquid and changed from crimson to a shimmering silver color and a faint crackling of energy filled the air. Smoke danced on the surface as the liquid stilled and became clear as the last trails of smoke dissipated. The man in the black robes stared intently into the chalice, waiting while the blood still dripped from the knife. The waters would show him, the blood would tell. He felt it, the power of the one who would come, the one to whom so much had been sacrificed, the one for whom so many more would give their lives. He felt the presence that he had come to know well and its power filled him with both dread and excitement. The time was drawing near. He would come soon. The one god. A powerful rumbling that had slowly grown from a low hum to a dull roar was marked by its sudden absence as the visions in the cup faded. The power was gone, the living magic of the blood spent as its life faded away. Nearby, a foot scuffed the ground, breaking the unnatural silence. The man in the black robe turned to face the others. Six of them stood before the steps of the dais, each similarly clad in black robes and awaiting his word. He cleared his throat as he regained his composure. The visions always left him a little dazed as though the world before him was somehow less real than it had been. “Is it true? Is it the awakening?” asked one of them. He shot the man a stern look and he fearfully took a step backwards. The ceremony did not require them to speak, any of them. It was not their place. Still, he had good news to share. “Yes, it is begun,” he said. “Then it is time,” said another of the black robed figures. “You all know what we must do,” he told them, staring intently at each of their faces looking deep into their eyes and searching for the resolve he required. His eyes flickered with a deep blackness with an unnatural silvery sheen as he reached out with his power, testing each member of the group before him. A few feared him, he could tell, but he knew that each was loyal and resolved to follow his lead. Satisfied, he turned and placed the chalice back on the altar alongside a dark, twisted blade. As he picked up a heavy red cloth, he heard the others leave. He ignored the crackle of energy and the thunderous sound of power being gathered as the mages transported themselves back to their homes. He ignored the blasphemy of their magic, knowing that soon they too would be joined completely with the one. The man ceremoniously folded the cloth over the chalice and placed the knife atop it and quietly intoned a sacred incantation alone in the darkness in reverent ecstasy with the knowledge that soon his time would also come. Aaron emerged from his room that morning to find his uncle Tarnath, an old battle-scarred warrior, whose grey hair and beard flowed across his shoulders and chest, leaning over a metal skillet, frying bacon on top of the iron stove. A soldier for most of his life, Tarnath had retired from his life of battles and adventures when Aaron’s parents had died. Settling in this cottage in the middle of nowhere, he had raised Aaron himself, doing his best at the task, despite his skills being more suited to a military barracks. Even though life with Tarnath was fairly regimented, the old man always did his best to offer up a sense of humor in his own gruff fashion. Aaron took a seat at the wooden table and the warmth of the fire that was already filling the main room of the cottage helped ease the tension in Aaron’s shoulders. His headache had almost cleared but he was tired from having had such a fitful sleep. He mumbled a greeting and Tarnath looked up with a smile, an expression that seemed somewhat out of place yet at the same time perfectly natural on the old warrior’s scarred and wrinkled face. Aaron pulled his chair in toward the table and then put his head down on his arm. He was not yet ready for Tarnath’s chipper morning banter. The old man chuckled and gave his scraggly white beard a thoughtful tug. Blowing on his burnt fingers, Aaron cast a tired and disapproving eye at Tarnath. “You think that’s funny don’t you, Tarnath?” Aaron said accusingly. The old man held the tongs to his chest in mock innocence. “Me, funny? Never,” he said with a smile. “You could have warned me it was that hot,” Aaron said as he blew on his fingers some more. Aaron shoved a piece of the salted meat into his mouth and stared glumly at the table and Tarnath snorted a kind of laugh. Aaron had worked hard for the long winter months in the small smithy they had built on the farm. Years ago, Tarnath had convinced the smith in the nearby town of Ashford to contract out some of the smaller jobs to them as a way of earning a few coins. The work consisted of mostly odds and ends for the local farmers and townsfolk, repairing farming implements and gate hinges but this winter, a nearby cooperage had asked for enough metal work to keep Aaron busy for most of the winter. Come spring, when they delivered the finished pieces, he would finally have some money of his own and he planned to use it to expand the forge. Tarnath had said he might even talk to the smith about taking Aaron on as an apprentice. He enjoyed working with hot iron, molding it into forms and then pounding them into shape. This winter, he had even tried working with steel, making a new ploughshare for the spring tilling they would do on their own small property. The whistling of the kettle drove knives into Aaron’s ears and he felt his headache threaten to return. He buried his head in his arms on the table and Tarnath noticed his discomfort and quickly pulled the kettle from the stove. “Got one of your headaches again, do ye?” he asked, speaking more quietly now. Aaron grasped his head and nodded, then closed his eyes, waiting for the pain to recede. Tarnath felt badly for the lad but he knew there was nothing to be done about it, at least not until the snows cleared and they could make their way into town. He wondered if it might be wise to seek the help of a healer but he tried to keep his distance from magical types and the last gossip he had heard made him even less inclined to let them poke around at Aaron. Some old fashioned herbs would have to do, he decided, and added a pinch of willow bark powder to Aaron’s cup along with the black tea leaves before pouring in the hot water. “Well, the good news is you don’t have to do any snow clearing today as I was up early and it’s already done. Hurry up, we’re going out. A bit of fresh air will do you some good. Tea?” Tarnath offered. Aaron nodded and Tarnath put the cup in front of him then disappeared into his own bedroom at the back part of the main floor of the cottage. Aaron could hear him rummaging around in the small room and wondered what the old man was up to. He took a sip of the hot drink and after a few moments he started to feel a little better. Perhaps a hot drink was what he needed and the tea Tarnath made for him had herbs in it that usually helped dull his headaches. Aaron thought about his friend Brian, the oldest son of Jacob the farmer and his wife Mariel. At a half a day’s ride, they were the closest neighbors and Tarnath often stopped in to see them on the way to town. Over the years Aaron, Brian and his two younger brothers had been on many adventures together, most of which consisted of fishing or tramping around in the forest, playing at rangers and bandits. Aaron earnestly hoped he would get to see his friend again soon, then put aside such thoughts when Tarnath emerged from his room carrying a long, leather-wrapped bundle. He placed it on the table then began to lace up his boots. “We’re not goin’ to town, or to Jacob’s farm,” the old man told him. “Then where are we going?” Aaron asked, eyeing the leather bundle that lay before him. “You’ll see,” Tarnath replied with a mysterious wink and the twinkle in his eye that told Aaron that the old man was up to something and, knowing Tarnath, it most likely had to do with more chores. By the time they finished clearing the breakfast table, the sun was shining brightly through the cottage window. Aaron went to his room, finished dressing and quickly grabbed his heavy fur-lined grey cloak from its peg. He went out to the main room to find Tarnath waiting at the doorway with a long bundle under his arm. Aaron wondered what his mischievous old uncle had in mind. “Come on, boyo, we’ve a bit of a walk ahead of us,” Tarnath told him and then pushed open the door and plunged out into the cold winter air. Aaron followed him out of the warmth of the cottage, discovering that though the day was crisp, the warmth of the sun made it somewhat bearable, and the snow glittered cheerily in the shimmering light of the clear day, which brightened his mood a little. As they walked across the yard surrounding the cottage, Aaron noticed something odd from the corner of his eye. One of the trees outside his window had begun to grow buds, which was strange, given that it was still the dead of winter. At first, he wondered if spring might be coming soon but he knew it would be weeks yet before the weather would break, and the tree should surely not be budding yet. He looked around and saw that all the other trees were still bare and frozen and wondered that it was strange that only one should try and grow so early. Aaron shrugged it off as one of those strange things that sometimes happened and he trudged through the snow, following Tarnath from the yard and into the surrounding forest. Tarnath had also noticed the buds on the tree. It was unseasonal for such a thing to have happened, but he already knew what had most likely caused it, though he made no mention of it to Aaron. Tarnath figured that it was best not to dwell on such things, especially when there was precious little he could do about it. Still, he could not help it and brooded about it quietly as he broke his way through the fresh snow, unable to shake the worries that crept into his thoughts. The way was difficult as they pushed through the woods on a brisk march over the drifts of snow. The exercise would do them both some good, the old man told Aaron, but before long, Aaron felt the familiar cold wetness creeping its way over the tops of his boots and through the tough leather that protected his feet. He had forgotten that when winter started to thaw, it meant that everything got wet, and being wet meant the cold would feel even colder. The best he could do was to keep moving and hope his boots would keep the dampness from reaching his toes. They finally arrived at a pond and found it frozen thick with ice that was smooth as glass, its surface scoured clean of snow by the winter winds. At the edge, Aaron stopped to brush the melting snow that had gathered around the tops of his boots and marveled at how perfectly wintry the pond looked. Without breaking stride, Tarnath walked purposefully out to the centre of the ice and beckoned for Aaron to follow. Aaron stepped out onto the ice only to find his feet sliding ahead of the rest of him. He landed flat on his back with the wind knocked out of him. “A might slippery isn’t it,” Tarnath called from halfway across the ice. Aaron pushed himself up, scowling. The moisture his boots had gathered was now beginning to freeze again and the ice-clad leather would not easily take purchase on the slick ice. Aaron fell a few more times before he finally got his footing and carefully, he made his way over to the center of the ice where Tarnath waited. He motioned Aaron over to him and unrolled the bundle he had placed on the ice. At his feet were two swords, gleaming cold and steely grey in the morning light. Tarnath smiled. 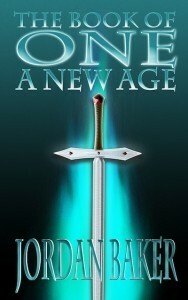 Aaron slowly bent and touched the tip of his finger to the edge of the sword closest to him. He pulled his hand back sharply as he felt the steel begin to cut into his skin from even that slight amount of pressure. “These are sharp,” Aaron said, checking his finger and seeing a small line where the steel had cut him. Thankfully, his hands were tough from the smithing he had been doing so the blade had not bit deeply. Ever since he could remember, Tarnath had made him train with wooden sticks and the countless times they had sparred with each other had been for Aaron a lifelong exercise in futility. For years, no matter how hard he had tried, he could never win against the old man. However, a few days previously, Aaron had finally come close to catching his uncle with the dull edge of the wooden practice blade, not just once, but several times during their practice. Even though his near victories gave him a feeling of accomplishment, Aaron knew he was still no match for the old man and he did not think it was wise to swing sharpened steel at one another on the precarious ice. There was no arguing with Tarnath when he set his mind to lecturing him on the ways of the world. As far as Aaron could tell, the land was peaceful and it had been that way for almost a generation. There were always minor skirmishes between neighboring lords and the border to the east was known to be difficult, but most of the Maramyrian lands were lawful and relatively safe. Besides, living out in the middle of nowhere at the edge of the forest, the only real threat was the occasional wild animal that stumbled through their land. Knowing that Tarnath would not be convinced otherwise, Aaron resigned himself to what would be the day’s chores; sword practice. Tarnath’s obsession with weapons and his endless lessons on their use at least gave them something to do to break up the monotony of winter. The old man meant well and as apprehensive as he was, Aaron was intrigued that he was finally being trusted with a blade. It had been years since he had stopped asking when they would train with steel, and now, here they were, each of them sword in hand as Tarnath outlined his views on the subject. Aaron had heard countless versions of this speech before and could almost recite it word for word but he let his uncle go through the routine anyway. Tarnath raised his sword and then took his usual stance. He swung the blade a few times, testing its balance. Aaron reached down and picked up the sword that had nicked his finger. Master the blade, Tarnath had taught him. Do not let the blade master you. Tarnath nodded and walked calmly to the far edge of the frozen pond. Following his lead, Aaron walked carefully, trying not to slip and fall on the ice. Tarnath stood patiently, idly looking at the mist of his breath in the cold morning air. “About time you got here lad,” he said. “You figure out your footing on this ice yet?” he asked with a chuckle. “Not quite,” Aaron said as his feet slipped again on the hard surface. “Well, you’d better get the hang of it quick, boyo!” Tarnath asked as he brought his sword in a wide arc toward Aaron’s head. “Have at you!” he yelled. Aaron instinctively brought up his own blade only to find his feet separating from each other. He felt his backside hitting hard on the ice beneath him. “Balance, my boy. Balance is everything,” Tarnath told him. Aaron groaned and tried to push himself up from the frozen surface. “Here, I’ll help you up.” The old man extended his hand. Aaron reached up to Tarnath’s hand and pulled hard. Tarnath tried to balance himself but it was too late. A moment later, Tarnath landed heavily on the ice. Aaron quickly leapt to his feet, slipping a little but holding steady, his sword at the ready. He laughed as Tarnath gave him a sore look then, almost impossibly fast, the old man was back on his feet as well. Aaron backed away, cautiously. “We always work on blocking and defense first,” Aaron said. Tarnath grinned beneath his whiskers. Aaron shook his head then swung his sword at Tarnath’s extended blade. The sound of steel meeting steel rang loudly through the leafless woods. Aaron felt Tarnath’s heavy, gloved hand push his shoulder and he again found himself sitting on the ice. Aaron bounced to his feet again and slid on the ice, quickly finding that it was all he could do to avoid skewering himself with his sword on such terrain. Aaron was still reluctant to attack, but the old man pressed in on him like he had said he would. “Either attack me, or defend yourself. ‘Tis no jest.” Tarnath swung at his neck and Aaron raised his blade in time to stop a real blow, a killing blow. Aaron was confused. The sharp steel would have certainly killed him. With hardly a moment to think, Aaron found himself blocking the next swing. He blocked several more in quick succession then responded with an attack Tarnath had taught him. It was simple attack, but it was designed to throw one’s opponent off balance. “That’s right, my boy. Now you’re getting it. Use the terrain against your opponent,” Tarnath rasped through his own exertion. The old man smiled at him then pressed him hard with faster attacks that twisted and moved unpredictably. Aaron knew he was going to find himself knocked to the ice more than once this day but he now understood the value in the training, and soon he began to feel his footing become steadier and sure as he learned to control his balance. Before long, he was almost able to fight at his usual level, despite the added challenge of the ice. They fought for several hours before Tarnath finally called a stop. Bruised, exhausted and with Aaron bearing more than a few nicks and cuts from the sharp blades, they rested for a moment at the edge of the ice. Tarnath handed Aaron a plain leather scabbard. “Yes sir,” Aaron said and put the sword in its sheath and buckled it to his belt. The sun had moved to the other side of the sky and a cold wind was beginning to blow from the mountains to the northeast. The muscles in their legs still burning from the day’s exertions, the two of them headed back along the tracks they had made earlier in the snow. In a land far to the west, where the climate was gentler and winter had already left the land, a cold wind stirred the dead leaves that still covered the dark forest floor. It gusted out across a small clearing, its biting chill awakening a young mage, who hung on a wooden cross, barely alive. He opened his eye a crack and was surprised that he was not yet dead. His other eye would not open, its lid held shut by encrusted blood that had long since dried. At least the bleeding had stopped, he thought, and through the pain that wracked his entire body, he wondered whether his eye was still in its socket beneath the blood and gore that had been made of his face. He cursed inwardly, reminding himself not to succumb to such thoughts. He was a mage, and though they had tortured and maimed his body, his mind was still intact, and that was what mattered most. He wondered if perhaps some of his power remained as well. Slowly, cautiously, he looked around at the ground below the rough wooden cross where he hung, his wrists and ankles pierced by thick metal spikes that that sent pain coursing through his entire body with even the slightest movement. The clearing was empty, save for several other crosses where hung the limp, lifeless forms of others who had been tortured and left to die. Nothing stirred in the clearing and his initial fears subsided. Thank the gods, his attackers were gone. He flexed his shoulders as much as he could, raising himself up so he could breathe more easily, his lungs starving for the air they had long been denied. The movement caused the blood to flow again from the many wounds on his maimed body and he knew he would not last much longer like this. His one eye fluttered as he felt out with his mind to gather his magic to him but instead of the familiar feeling of warmth and strength his power would normally bring, he felt only a sense of rawness and confusion. He searched again, deeper within himself, in the corridors of his soul that once flowed with life and power but were now dark and cold. Finally, he felt it, like a fine thread of the strongest steel, tempting him to seize upon it and drink in the magic that it offered, but he hesitated. Something about it was false. They had offered this to him before, but he had refused. He knew that the power he felt from that source was not real power. It was enslavement, meant to drain him of his will and his life. He gritted his teeth and sent his feelings in every other direction, his growing frustration lending him a little energy. Finally, after what seemed an eternity, he found it, hidden, buried deep within him. Only a flicker remained, for it was all he had been able to hide from them, a spell he had cast upon himself long ago, and one they had thankfully not recognized. He focused on it and prayed for salvation, wondering if he would last the night. No, he must stay focused, he reminded himself, fighting the fear and his helpless feelings. The effort to concentrate brought him more pain, and it was almost too much to bear, but he gritted his teeth and tried. He reached out with his mind and grasped at the flickering source but he could not reach it. Perhaps if he rested just a moment, he thought, and it all began to slip away from him. Nearby, a pair of eyes saw the flicker of power in the young mage and then began to fade. A voice rasped a curse in the darkness and an old man with grey hair and a grey cloak appeared from the trees and hurried to where the young mage hung, on the verge of death. With a strength unnatural to his stature, he lifted the cross out of the ground and lay it gently flat on the ground. He shook his head and frowned as he rested his hand on the young mage’s chest. The iron spikes that pinned him to the cross disintegrated and their absence renewed the pain they had caused. His good eye struggled against the fog that crept across the edges of his vision. Something had changed. Above him he saw the starlit sky and wondered if perhaps he was not seeing the first glimpses of the afterworld. Was this death? If so, then why did it hurt so much? Would he be cursed to bear his wounds into the next life? He fought against the blanket that covered his senses and then he saw the old man in the grey cloak looking down at him. The young mage’s lips, cracked with blood, turned up at a corner with his best attempt at a smile. “Stavros,” he whispered before his one remaining eye rolled back into darkness. A noise from the forest alerted the old mage, his senses already sharpened by his own magic, which coursed strongly through every fiber of his being, his power at the ready, knowing the danger in revealing himself in this place. His brow creased angrily and Stavros snapped his fingers. In a shimmering flash, he and the wounded mage disappeared, leaving the cross empty on the ground. A moment later, a raven flew into the clearing, its thick black wings beating the air as it came to rest on the arm of a cross. The black bird cawed in the silence as it surveyed the scene, where so many dead figures hung from as many crosses, then it pecked out the eyeball of the body next to it, hungrily enjoying the carrion delicacy.